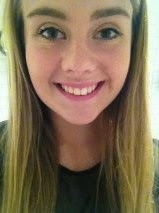 Yesterday I was lucky enough to be booked in to a makeup lesson with Benefit Cosmetics. 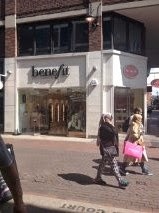 I decided to take my lesson in the Benefit store in Canaby Street, London. It was an amazing experience. I told the artist what my skincare routine was like, the products I use at home and the looks I usually go for. The girl who created my look was ever so friendly and she knew exactly what I was looking for. She talked me through my makeover from preparation through to application. I asked for a natural look and I was very happy with the outcome. Below is a complete list of the products she used upon my face.